Once in Lochranza, a girl was trying to drove cattle to the holding pens. Try as she might the cattle strayed this way and that. After an hour she gave up the attempt, and decided to go home. As she was walking round the head of the Loch, she saw a man sitting on an old tumbledown piece of fence. A young man he was, and as she drew closer she could see his clothes looked a bit strange, almost from some other era. The girl decided to avoid him, and started to give him a wide berth, it was just then, he shouted over to her, and there was something in his voice made her stop, something hypnotic, but lovely, like distant singing. It seemed like less than a second had gone by she stood before him, still seated on the old fence,when this golden haired stranger quickly produced the most beautiful ornate comb she had ever seen, it winked and glinted in the morning sun. He asked her "Have you lost a comb?" "Not me" she replied. Again he asked "Have you lost a comb……..?" "Not me", once more she replied. A third time he spoke, this time with a wild, captivating, sleep making spell in his voice "HAVE YOU LOST A COMB?" "Not me" her shaking almost sobbing voice replied. At that his face looked much softer, but still very intense, he then, in less than the blink of an eye, thrust the comb into her hand. "There," he said "Take it, keep it, it's yours now." The girl looked down at the comb. It felt as light as a feather, but strong and beautifully crafted. With the last part of her resolve, for make no mistake, this was a battle of wits, or spirit, or her very being, she refused and quickly handed it back. At once she felt almost released from the intensity of the moment. The young man now looked quite sad. He said "Then will you do just one thing for me……comb my hair?" Now after a while and a bit, word got round to an old woman who also lived in Lochranza, and she went to see the girl and her parents at their cottage. 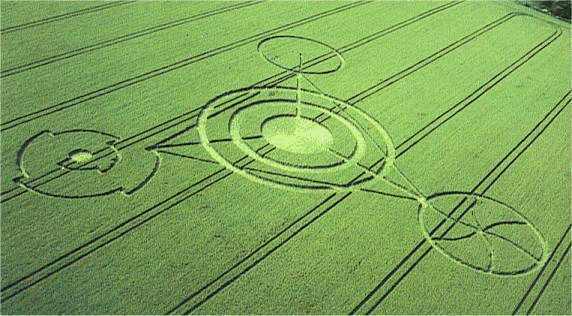 Pretty good evidence of a rotational physics at work and the usual "magick" performed by the LM's as they interact with our realm. A fascinating encounter and one leaving evidence which is rare but what good evidence it is of an LM calling card! 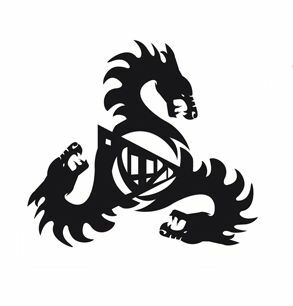 A triskelion or triskele (which invariably has rotational symmetry) is a motif consisting of three interlocked spirals, three bent human legs, or three bent/curved lines extending from the center of the symbol. Both words are from Greek "τρισκέλιον" (triskelion) or "τρισκελής" (triskeles), "three-legged", from prefix "τρι-" (tri-), "three times" + "σκέλος" (skelos), "leg". Although it appears in many places and periods including 3200 BCE Newgrange, it is especially characteristic of the Celtic art of the La Tène culture of the European Iron Age. A triskelion is the symbol of Sicily, where it is called trinacria, as well as of the Isle of Man, Brittany, and the town of Füssen in Germany. Chapter IV. Hobgoblins, Monsters, Giants, Mermaids, Apparitions, &c.
Chapter V. Magic, Witchcraft, &c.
Chapter VII. 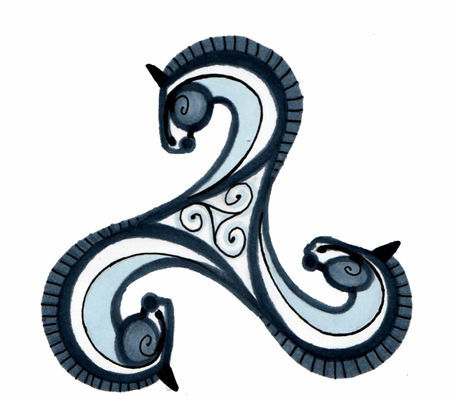 Superstitions Connected With the Sun, Animals, Trees, Plants, Sacred Edifices, &c.
For centuries, the island's symbol has been its ancient triskelion, a device similar to Sicily's Trinacria: three bent legs, each with a spur, joined at the thigh. The Manx triskelion does not appear to have an official design; government publications, currency, flags, the tourist authority and others all use different variants. Most, but not all, preserve rotational symmetry, some running clockwise, others anti-clockwise. Some have the uppermost thigh at 1200, others at 1130 or 1000, etc. Some have the knee bent at 90°, some at 60°, some at closer to 120°. Also, the degree of ornamentation of the leg wear and spur varies considerably. The three legs are reflected in the island's motto (adopted late in the symbol's history): Quocunque Jeceris Stabit, traditionally translated from Latin as Whithersoever you throw it, it will stand, or Whichever way you throw it, it will stand. The origin of the Three Legs of Man (as they are usually called) is explained in the Manx legend that Manannan repelled an invasion by transforming into the three legs and rolling down the hill and defeating the invaders. It's amazing how much you start recognizing and connecting symbols once you learn the true history and reality of humanity. Rotate that Triskelion, view from the side instead of above, float above the ground and move through a wall, across your path then through a fence before vanishing and that sums up my most recent LM encounter this time last year, a rotational triskelion shape in equivalent space, rippling my reality and messing with my brain! No sea shells for me though. Well, that would also correspond to what I witnessed in the park last spring. 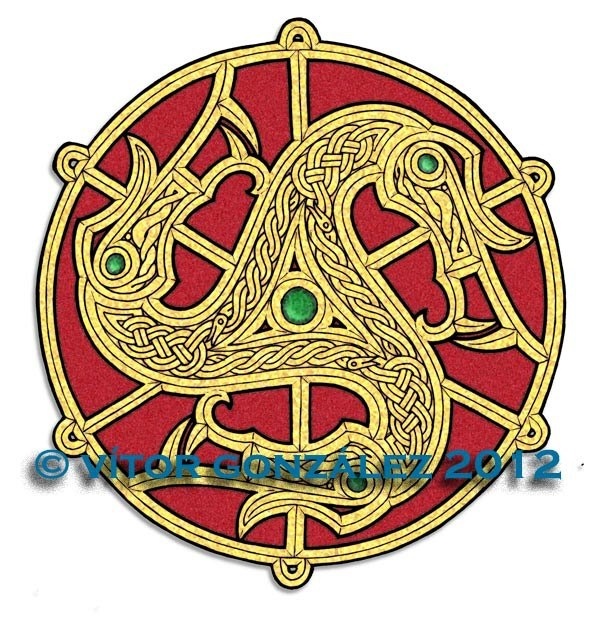 The "whirlwind" would be a Triskelion seen from the side. 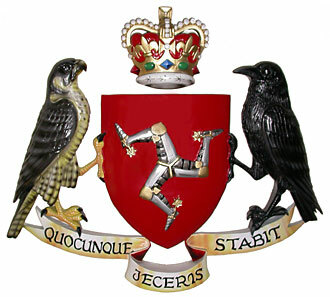 I have a piece of memorabilia from Sicily with a three-legged appendix, and when I saw this symbol on Manx coat of arms when I was investigating the background of the Sovereign Magistral Order of the Temple of Solomon's Grand Master (which I wrote about in the past), I found it very interesting - same symbol, two islands. What I wonder about that "The Sidhe (Faerie)" story is that the girl and did she actually lie about that lost comb. Or was is actual attempt from "the Sea god" to get the girl to follow him into his "realm"(land) willingly and not forcibly. oh wow ... i don't have much time cause i've got to drive to my dad's, let's see if i can type this up quick enough. Here's something that I was told that happened to my mom and i when i was about a year old. My mom was driving the big van she had at the time and the door next to me opened up. My mom said she quickly got out of her seat while driving and shut the door. The van ended up driving into an island (in the middle of the road). Van came to a stop. A man showed up at the window and my mom got out (she might have already been out of the van) and he asked her if she was ok. She said she was. Then he disappeared. My mom was convinced that this was a guardian angel. I was told that there was another event like this but was never told the details. i recall seeing many whirlwinds throughout my life ... but i can't seem to focus on details and remember any specific occassion other than one with my mom. a woman who claimed my irish father was what she truly was (her god is money, the mean parent, the narcissist). It happened at a mall in front of an entrance where the wind got trapped between two walls from the mall building. She didn't want to go through the whirlwind because it had picked up leaves and dirt.